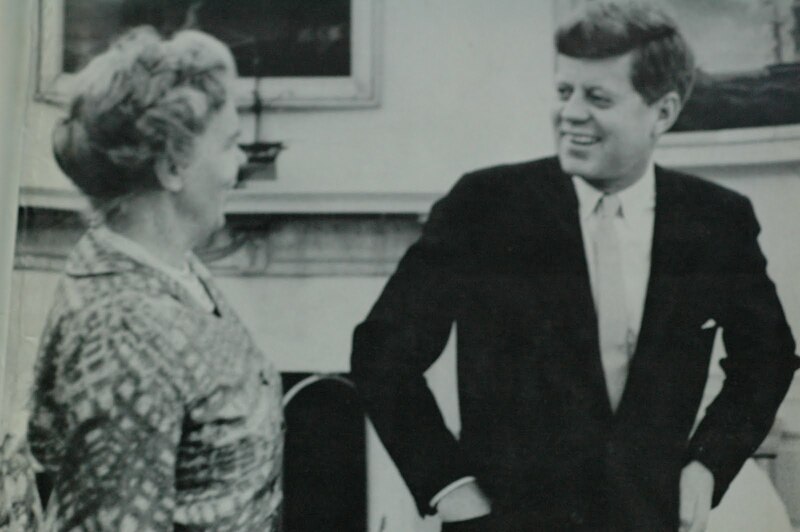 ... 1961 (50 years ago today), Dr. Janet Travell became the 1st woman to serve as White House physician when John F. Kennedy (near left), sworn in as President just a few days earlier, named her his personal physician. Travell (far left) had earned degrees from Wellesley and Cornell, and was a professor of clinical pharmacology at Cornell. She'd been the pain-management physician for Kennedy, who suffered from severe back problems, since 1955. Travell died at age 95 in Boston, in 1997.